Abstract: Polarization is a paradoxical parameter in optical fiber, as it provides flexibilities in various applications, such as advanced modulation formats in optical fiber communication systems, polarization-assisted fiber sensor applications, sensitivity-enhanced biomedical applications, etc. On the other hand, polarization is difficult to control and even associated with signal degradations due to random and dynamic polarization evolutions along the fiber. Currently polarization-related impairments are among major hurdles for high performance fiber systems. Tremendous efforts to effectively and efficiently manipulate polarization have been spent within the research and industry community. Starting from basic introduction about polarization, the lecture reviews different perspectives of polarization in fiber optics, including the polarization division multiplexing, polarization-related degrading effects and their mitigations, polarization based fiber sensor and biomedical applications, as well as polarization in nonlinear signal processing schemes. Practical issues will be highlighted. Biography: Lianshan Yan received B.E. and Ph.D. degree from Zhejiang University and the University of Southern California (USC, Los Angeles), respectively. 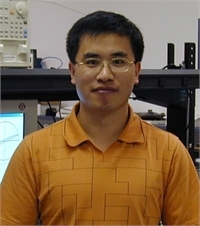 He has worked on solid state laser in North China Research Institute of Optoelectronics from 1994 to 1999. He has been with General Photonics Corp. as the chief scientist and manager of Engineering (2005-2007). He is currently a full professor and the director of Center for Information Photonics & Communications (CIPC) at Southwest Jiaotong University, Chengdu, Sichuan, China. Prof. Yan is the author and co-author of more than 280 papers published in prestigious journals and conference proceedings, including six invited journal papers and about twenty invited talks. He also co-authored one book and two book chapters. He serves as a frequent referee for more than twenty journals and holds thirteen issued U.S. patents. Prof. Yan is a senior member of the IEEE. He received the IEEE Photonics Society Distinguished Lecturer Award in 2011 and 2012 (2011-2013). He is one of the recipients of LEOS Graduate Fellowship in 2002, and the co-chair or TPC member of more than twenty international conferences, including OFC (13-), ECOC (13-), FiO’09-12, PHO’08-11, ACP’10-12, etc. He is an associate editor of IEEE Photonics Journal.